I have a nice collection now and I wanted to share my favourite eyeshadows, highlighters, eyeliners and lipsticks. Even with the occasional custom charges, product mix up and my zero patience for deliveries, I would highly recommend them. 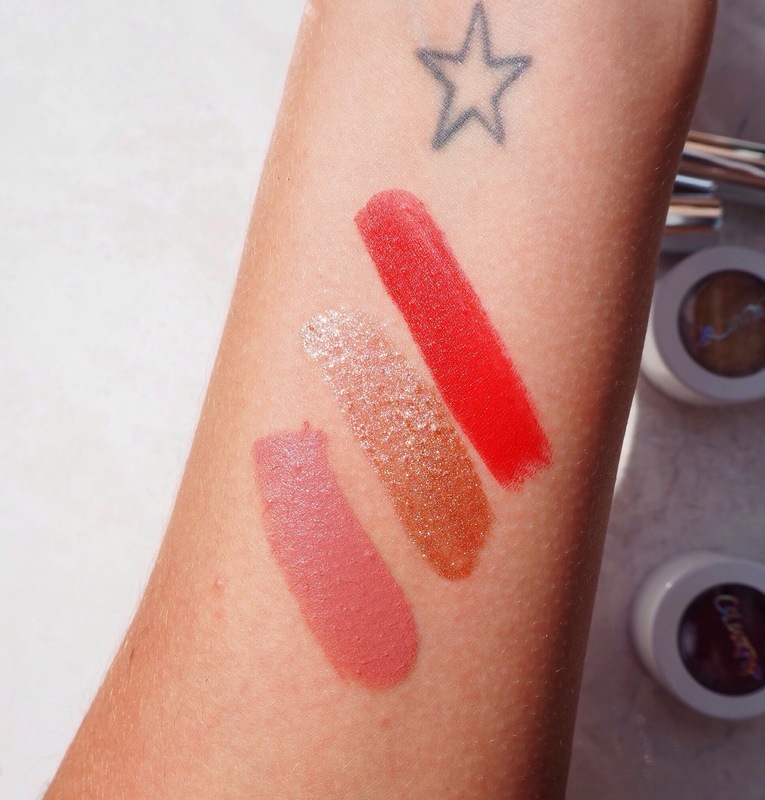 Their price point is INSANELY affordable and the pigmentation pay off is a joy to work with. 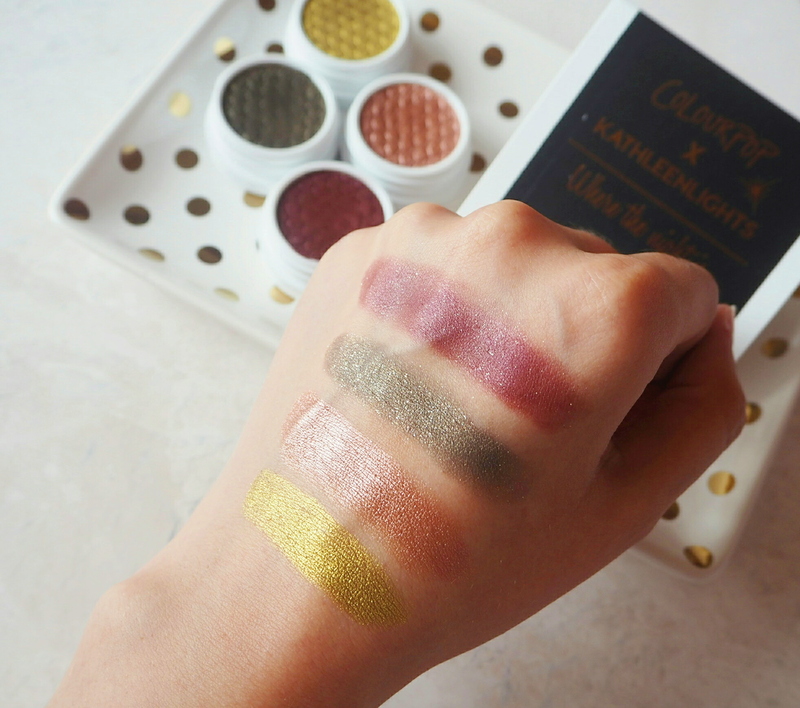 My first ever products from the brand were the eyeshadow quads from their Kathleenlights collaboration. I have both the palettes and they are one of my most treasured pieces from my makeup collection. I’ll leave some tips and suggestions for you throughout this feature. It’s a bit of a lengthy post so I would suggest grabbing a cuppa or a glass of wine! 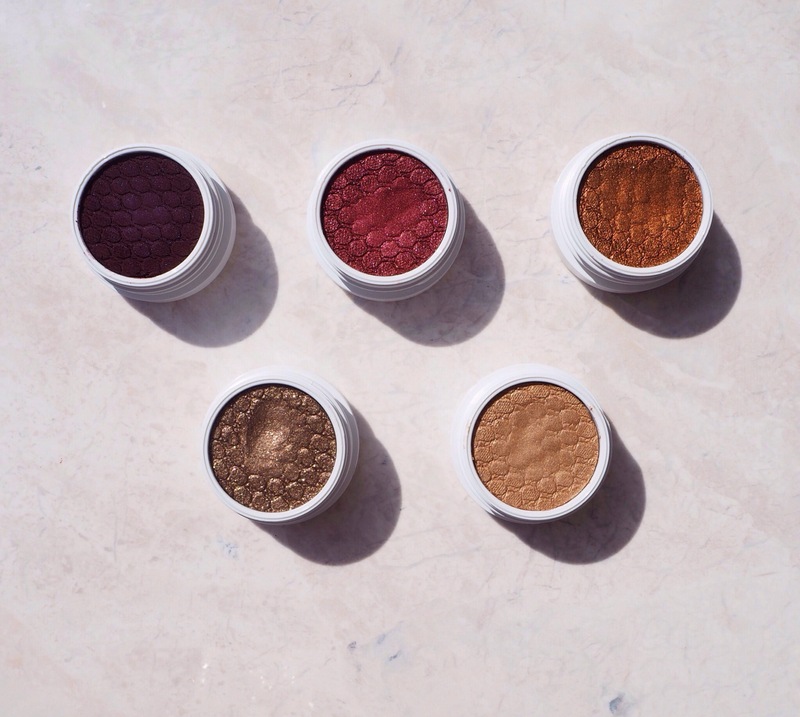 Probably the most popular section from the brand, their supershock shadows are now an iconic staple within any makeup collection. 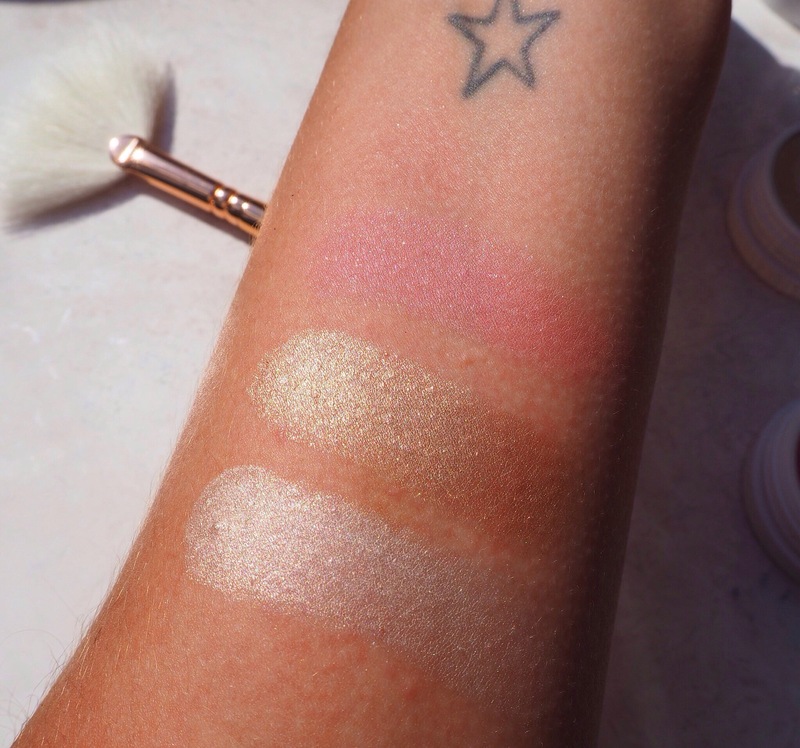 The pigmentation of each shadow is amazing, particularly with the metallic shades. When it comes to the matte shadows, I would suggest using synthetic blending brushes as they can be a little tricky at first. 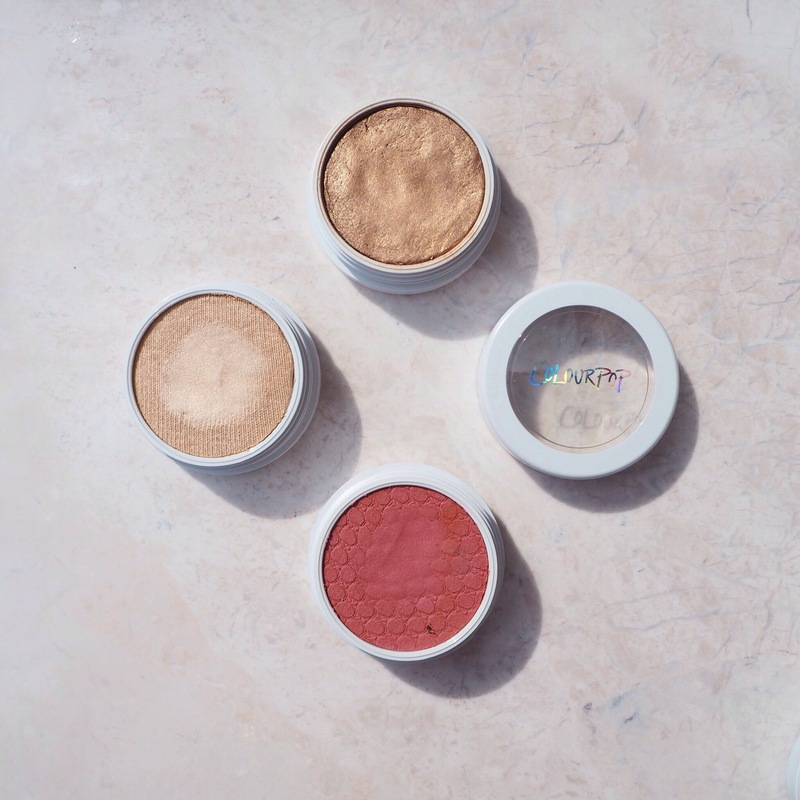 The colour pay off is not as intense compared to the metallic and shimmer shadows but I find that true of the majority of brands. 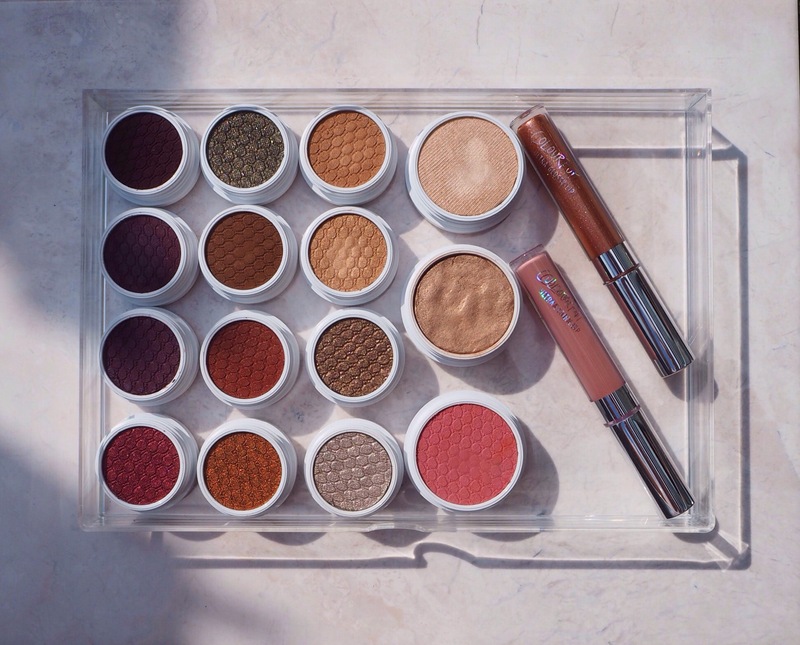 I have other transition shades within my makeup collection that I prefer to use but they’re great for the price point or if you’re a beginner starting off. When it comes to the supershock shadows, applying them with your finger will give you an intense look. They are like butter to touch and some even feel cushion like. 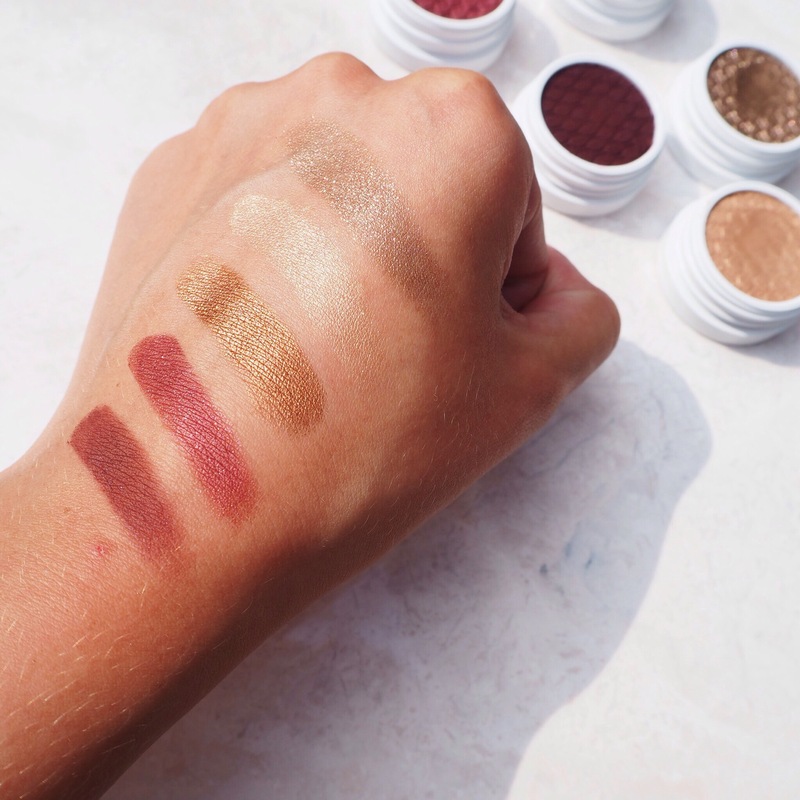 I find that the metallic shades are my favourite, I have selected five shadows that I think are definitely worth buying. Priced at $5 they are my new obsession, long gone are the thought of MAC being the centre of the universe. 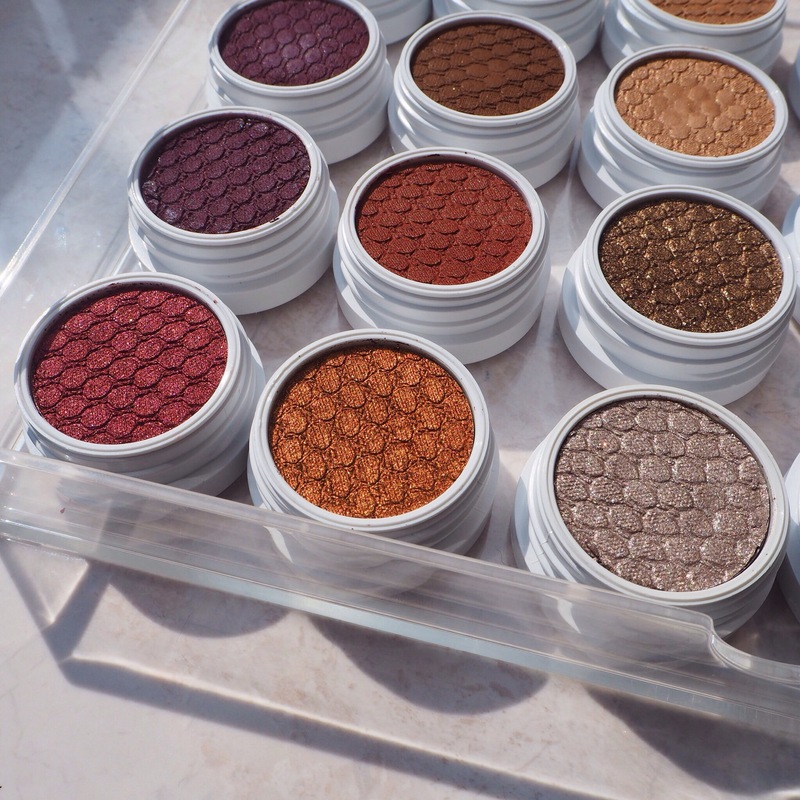 I would easily rate the ColourPop shadows over MAC any day (not to mention the price difference). Each one has a very different colour to them, but you can pretty much guess that they’re from the neutral family. 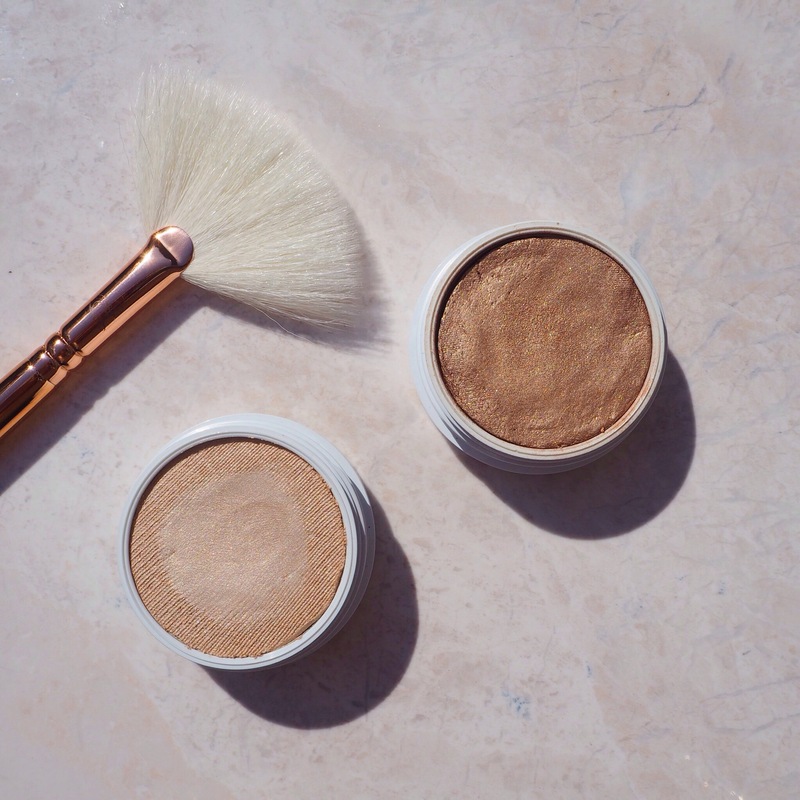 Warmed tone, buttery texture and 100% pigment make these little beauties a must have for me. Just look at how pretty they are! I’m one of those weirdos who organises my makeup collection more than the norm. I love playing with them to create different looks for Autumn. With these five shadows you could whip up a majestic smokey eye that will be sure to get everyone’s attention!!! I’ve swatched them on my hand and would you just look at them sparkling against the sunlight. Absolutely breathtaking, I cannot wait to wear them again this weekend. I’ll be starting to get ready from 5pm (sad I know!) as I get that excited! They have a massive variation of colours to choose from, I think on my next haul I’m going to branch out and get some bold and bright shades. Top row (L-R); Central Perk, Drift, Game Face. Bottom row (L-R); Nillionaire and Sunset BLVD. 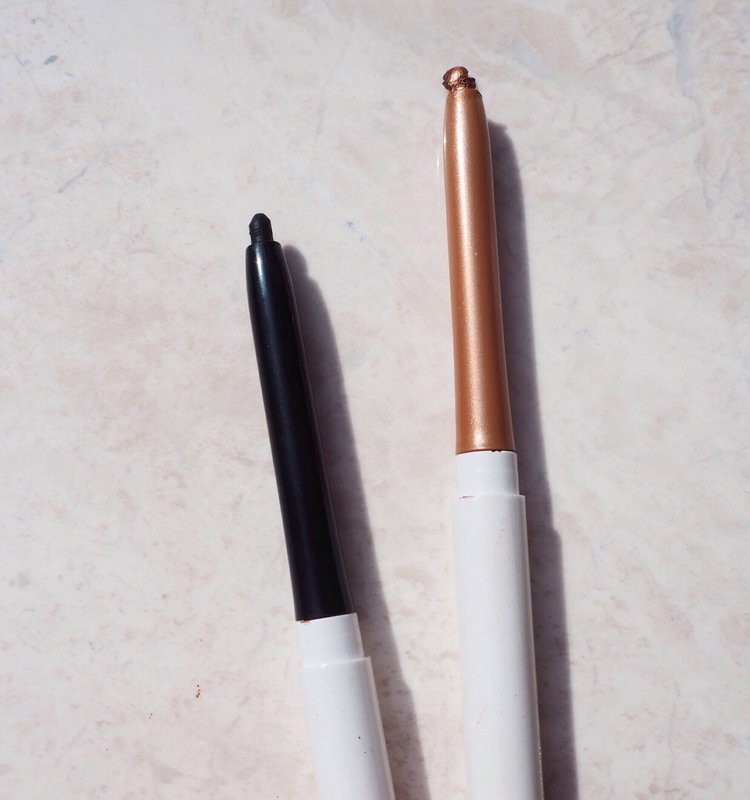 I remember first seeing Makeup by Alli use these gel based pencil eyeliners in her tutorials. For one of her looks, she put the copper liner in Get Paid along her bottom waterline. It was a lovely change from the usual black and cream, it really opens up the eye and is a nice change of pace. 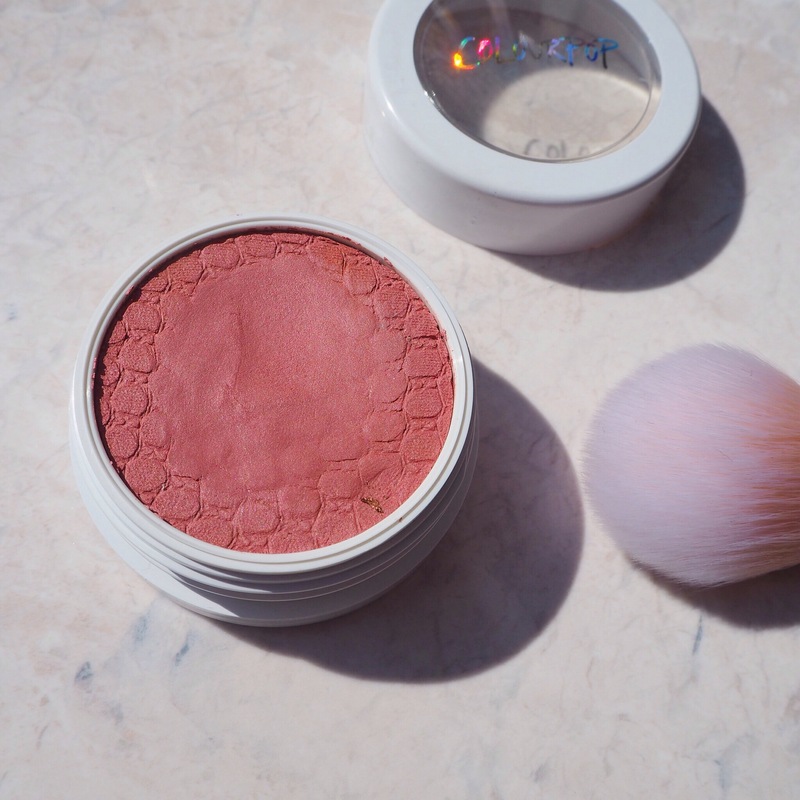 As always with ColourPop, the colour is vibrant and holds up great along my waterline. Pardon the tip of mine, I accidentally broke it when taking these photos! Every person needs a black liner in their collection. I originally ordered the Créme Gel Pot in Swerve but the brand mixed up my order and sent me the pencil instead (they later gave me a coupon code to reorder the liner). That was an annoyance as when I went to use the code it had sold out, I was incredibly pissed off with that. I’m not one for wearing a black eyeliner pencil as I prefer cream or a lighter shade to open up my eye. That was a shame but I wanted to share this today as the majority of people enjoy using black liner. I’ve since reordered the pot and I’ll keep you updated over on my Instagram. I had high expectations for their highlighters and it’s safe to say I am in LOVE. The two shades that I have are Whisp and Lunch Money. Some of you may think they look the same but they’re completely different shades. Whisp is more of a frosted colour while Lunch Money has a golden undertone to it, both different shades! I’m still figuring out what the best method of application is for these. 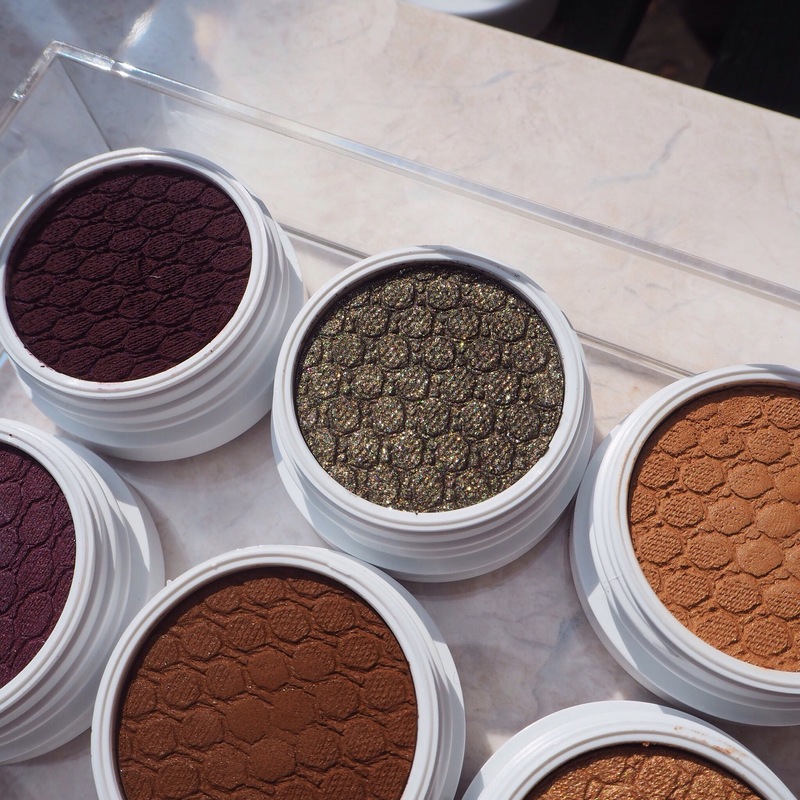 The texture is more cushion based compared to the eyeshadows. A brush doesn’t always pick up as much colour so I’m going to apply some fix plus to my brush or just use my beauty blender. I always stick to the same colour palette when it comes to my blushers. Mauve, rose and coral are my go to shades for creating a subtle yet flushed look. I’m quite fussy when it comes to trying new brands and blushes so I only bought the one to test it out. Again the texture of the shade Birthday Suit is a little different from both the shadows and highlighters. 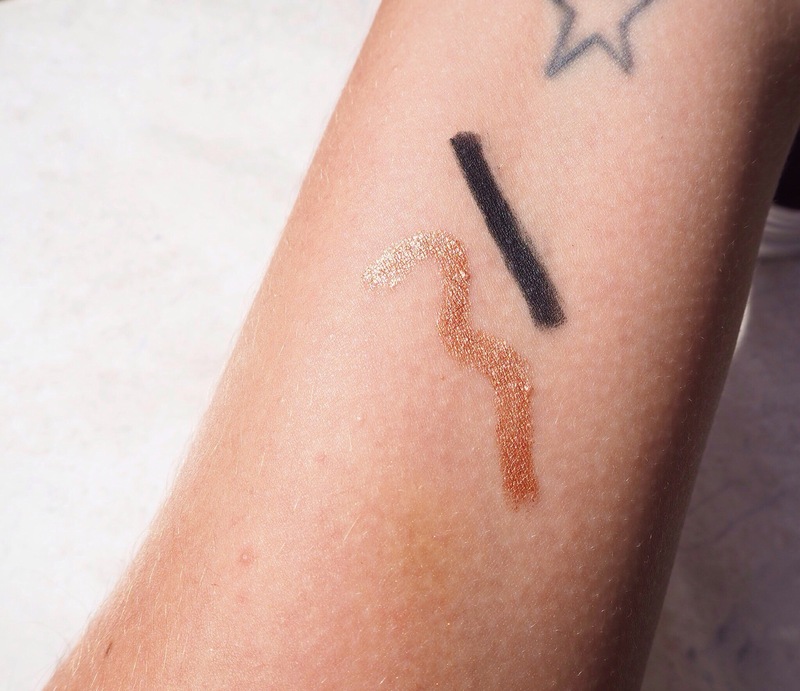 It has more of a firm feeling to it and the pigmentation isn’t as intimidating when swatched. I prefer wearing this as part of my everyday makeup routine, a small amount goes a long way. I have to say that the American brands pretty much kick started the liquid lipstick craze. It took a while for Irish and UK brands to jump on board and commit to the matte lip. I have tried various “drugstore” versions but they either dried out my lips or left that disgusting line along my inner lip. I decided to start off small and purchase the new Kathleenlights collection in the shade, Alyssa. I was pleasantly surprised at the finish, it sits comfortably on my lips and doesn’t dry them out. It is from their ultra satin collection, it does take a little longer that others to set but I prefer that as it has a nicer finish. The mauve toned lipstick is such a great and universal shade for many skin tones. It’ll go with the large majority of looks and it’s just an all round pretty product. Along with the liquid lipstick, I picked up a fabulous metallic gloss in My Jam and a classic neon red called Frenchie. I’m sorry but that name is absolutely adorable, reminds me of Frenchie from Grease. I saw Kathleenlights (I’m obsessed with her in case you haven’t noticed!) wearing the vibrant lippie stix in a video. It’s a true red with a slight orange undertone, it reminds me of MAC’s matte lipstick in Ladydanger (I’ve yet to wear it as I want to keep it for a special occasion). 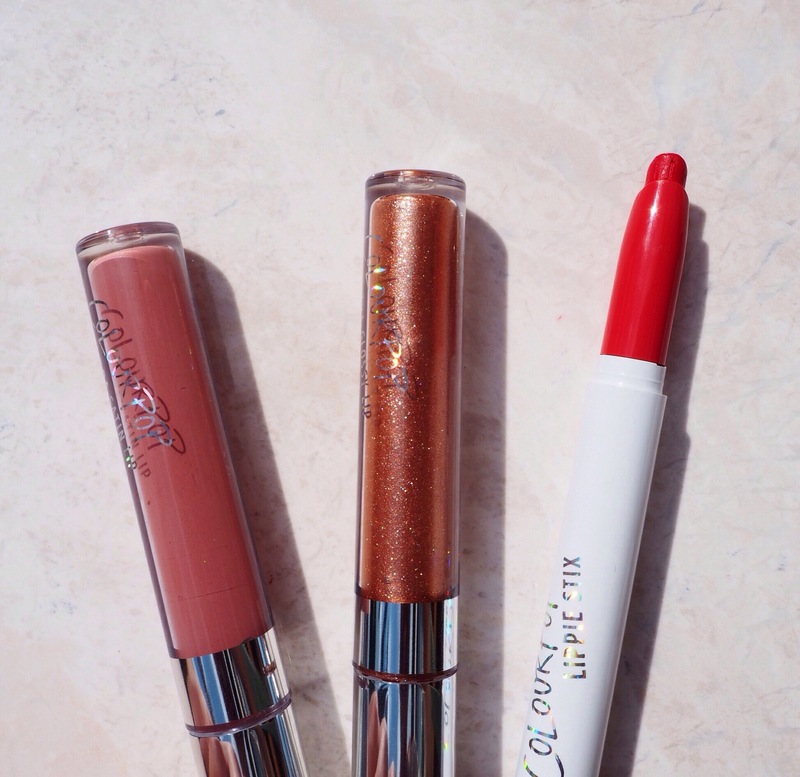 Slowly but surely I’m reigniting my love for old school lip glosses. I prefer them with more of a modern twist, hence the dramatic metallic finish. It is everything and more that I would want in a gloss and it doesn’t have that ugly tacky finish that they use to have. Worn alone or over a liner or lipstick, it transforms my lips from zero to hero. Can we just take a moment to appreciate the gorgeous shimmer running throughout the gloss, very 00’s appropriate! I hope you all enjoyed today’s post, sorry if it was long but I wanted to go into detail. In regards to international shipping costs, each order is determined by its weight and final destination. Custom charges may apply if you have placed a large order (I fell victim to it) but with each product being purse friendly, I guess it isn’t too bad. You can find all necessary information over on their FAQ’s page. If any of you have a question about the products I’ve featured feel free to leave me a comment or any other recommendations you might have.